Calming, energizing, life-transforming yoga. One of yoga’s top teachers shows you how to connect to the power of your heart. In yoga, the heart center has its own wisdom, intelligence, and energy. 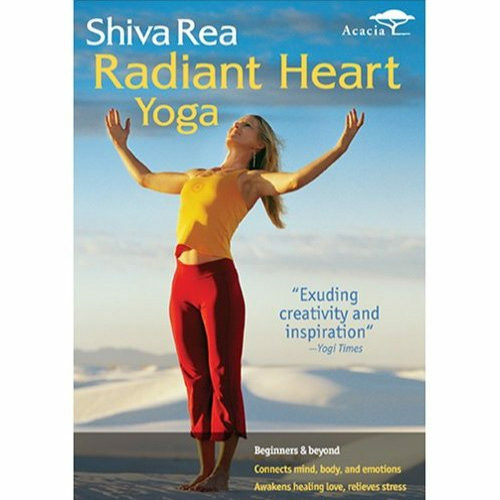 In this unique and inspiring practice, one of yoga’s top teachers shows you how to connect to the power of your heart—most potently, your capacity for love and healing. Shiva offers three ways to experience yoga’s rejuvenating heart-centered focus. Her Prayer Wheel practice generates love and compassion. Hridaya Namaskar (Heart Salutation) leads to deep relaxation and inner peace. The Energizing Heart Movement Meditation releases stagnant energy and creates natural joy and vitality. Starting or ending your day more centered within your heart will have a profound effect on your body and your life. Choose your practice—or combine all three—and celebrate the mystery of being human, fully alive with a radiant heart. 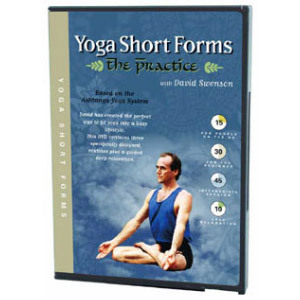 Includes two bonus segments: Sample Shiva’s other DVDs with Twisting Kriya (7 min.) from Yoga Trance Dance and Jala Namaskar (8 min.) from Fluid Power Yoga.